It is said that the view of Mt. Fuji from Shoutoukan is magnificent. In fact, many artists have stayed here with their famous works depicting Mt. Fuji. Though the ryokan opened more than 100 years ago, it still retains the same charm. 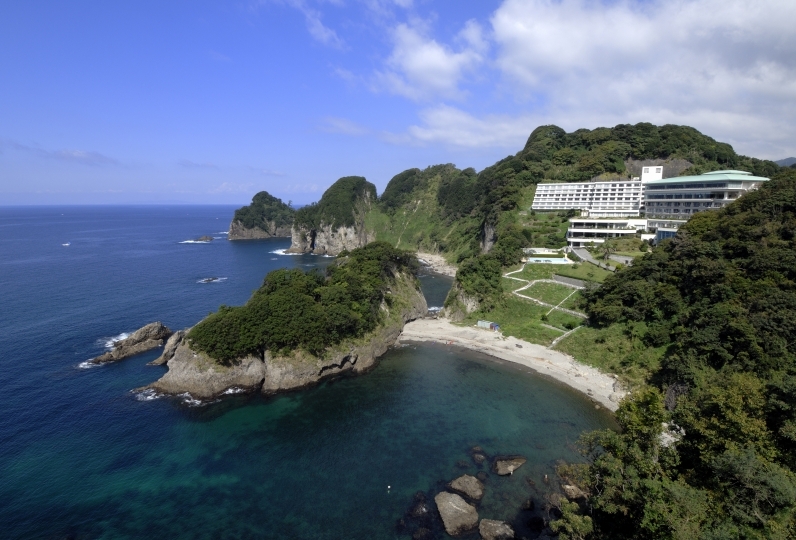 Although it is located on the western side of Shizuoka's Izu Peninsula, it only takes 100 minutes by car from Tokyo. Our hospitality begins with the welcoming smile of the landlady, and it will accompany you during your stay. Every aspect of each guests' stay is carefully tended to, making it impossible to not feel the overwhelming energy and warm hospitality. 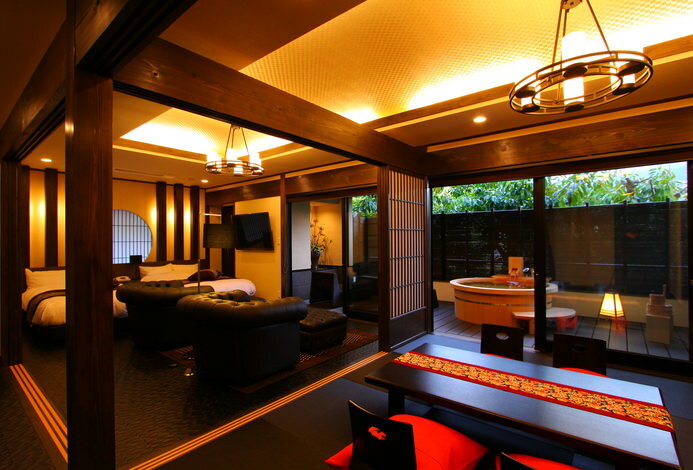 All rooms are designed and built in the traditional Japanese style called sukiya. They are bright and the woodwork creates an atmosphere budding with warmth. All seven types of room names are borrowed from the poetic phrase, "A fluttering flower in the wind, the moon's reflection in the sea, the road brimming with music" and boasts outstanding views. The open air bath also provides a splendid view. 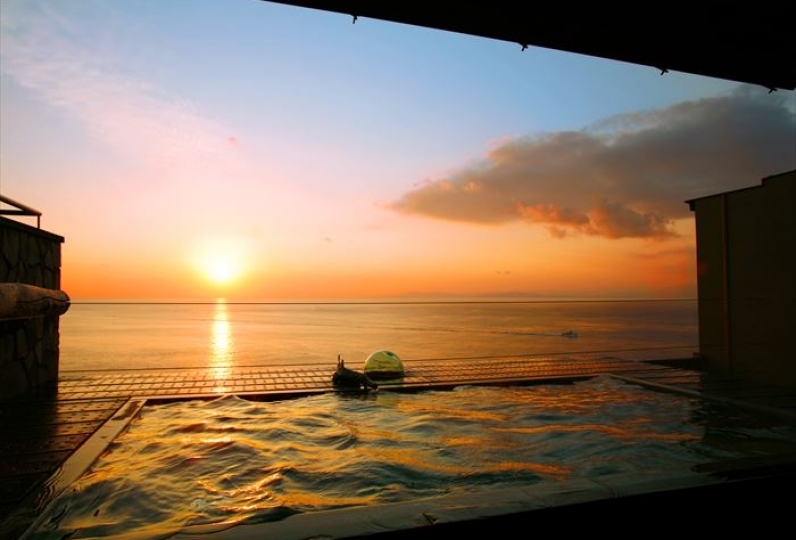 Gazing at Izu's natural beauty while enjoying the comfortable breeze is truly a highlight of staying at Shoutoukan. The cuisine at Shoutoukan is superb, and the regular customers can attest to this. The reason lies in the high standards of the head chef who uses a plethora of only the finest local ingredients in abundance. Even the simplest of dishes are made to perfection without cutting corners. Being praised as Izu Peninsula's finest, the cuisine at Shoutoukan is creative and full of wonderful flavors. Moments of serenity and elegance are ultimately what we would like to deliver while you appreciate the views of the stunning Mt. Fuji and the vast ocean from the comfort of our ryokan. Enjoy a delightful and comfortable time with that special someone here at Shoutoukan. Awesome view of Mt. Fuji with high quality of food and services. Thank you very much for a wonderful birthday celebration for my mother. Even though we couldn&#039;t see Mt. Fuji be... Read more Thank you very much for a wonderful birthday celebration for my mother. Even though we couldn&#039;t see Mt. Fuji because of the clouds, it was an absolutely perfect experience. Thanks to the kind staff, my mother was able to experience the pinnacle of &quot;omotenashi.&quot; I will not hesitate to recommend your ryokan to any of my friends who are looking for a special place to visit. Thank you very much for a wonderful birthday celebration for my mother. Even though we couldn't see Mt. Fuji because of the clouds, it was an absolutely perfect experience. Thanks to the kind staff, my mother was able to experience the pinnacle of "omotenashi." 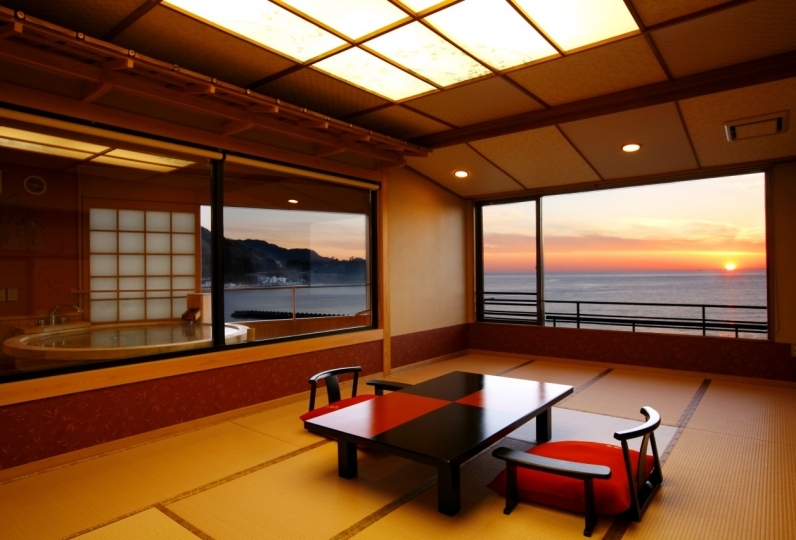 I will not hesitate to recommend your ryokan to any of my friends who are looking for a special place to visit. 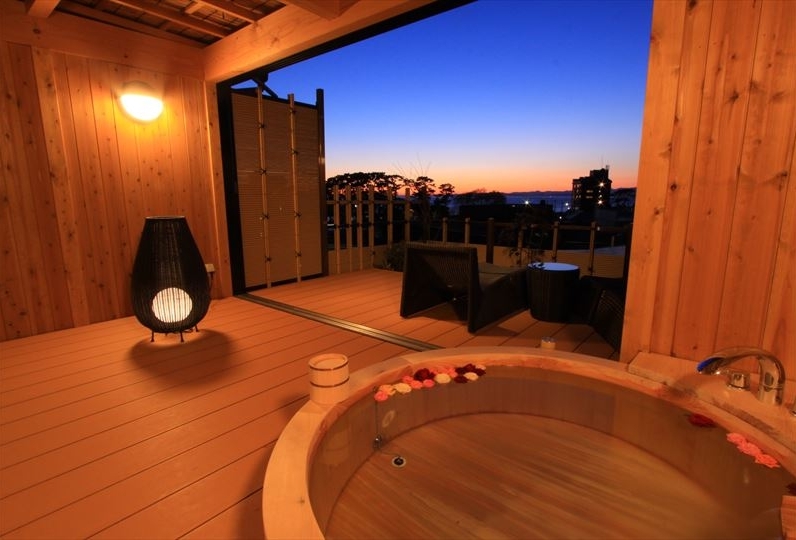 ・We offer 3 different baths, Fuji, Ashitaka, and Katsuragi as well as a private bath that you can reserve. From each bath you can enjoy Mitsu's ocean and Mt. Fuji. The view from the Fuji and Ashitaka bath are exceptional. Enjoy the changing season as well as the beauty of nature. ・The hotel has a fully equipped 24 hour air conditioned accommodation where your pets can stay in comfort (We can only lend cages for dogs and cats). Please let us know at the time of booking if you would like to reserve a spot for your pet. ※Pets are not allowed in the guest rooms. Please keep your pets within the areas allowed. Please tell us your time of arrival and mode of transportation (car, public transit, etc.) in the free comments section. There is a shuttle bus from Izu Nagaoka Station. We may not be able to reserve your seat if all seats are occupied. ・Please contact us if you will be arriving after 5:00pm. For pick up, please let us know 20 minutes before our departure.